Yesterday, Colette and I spent the better part of what was a beautiful autumn day in the Lehigh Valley Hospital to get her a bone scan. We had a 10:30 appointment time for her radioactive injection with a 1:30 scan time. There was a problem however getting the doctor's prescription from the Orthopedic office to the hospital. Eventually she had her injection around 1:00 and her scan at 3:00. I was getting pretty bored and fed up. 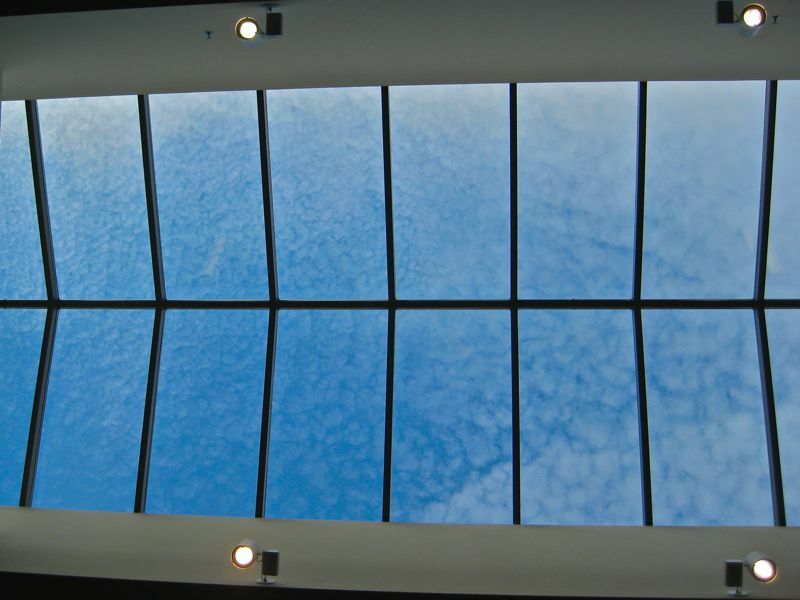 As I sat on the couch in one of the waiting areas, I looked up to see some pretty little clouds going by the sky window. Taking some pictures of the sky while I has hanging around in the hospital made me feel much better!